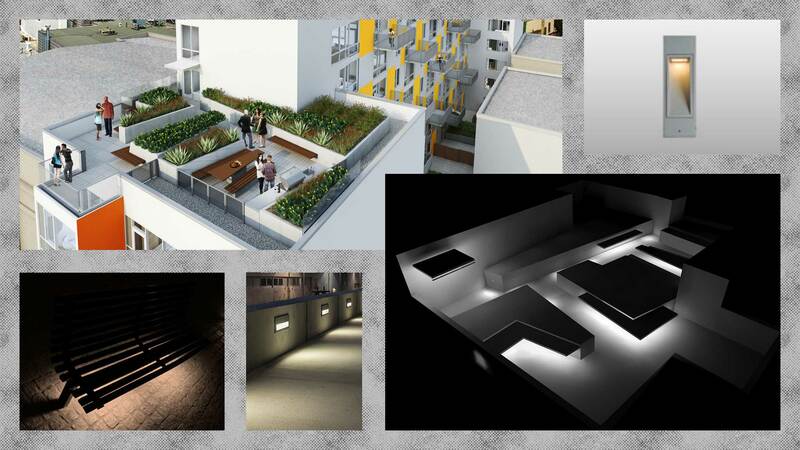 The project included an amenity garden on the rooftop. We wanted a lighting solution that wouldn’t compete with the dramatic views, so LED striplights mounted to the underside of the benches and steplights cast into the planter walls provide the necessary lighting levels for navigation. On the communal table and BBQ counter, mini-bollards provide task lighting (upper right).